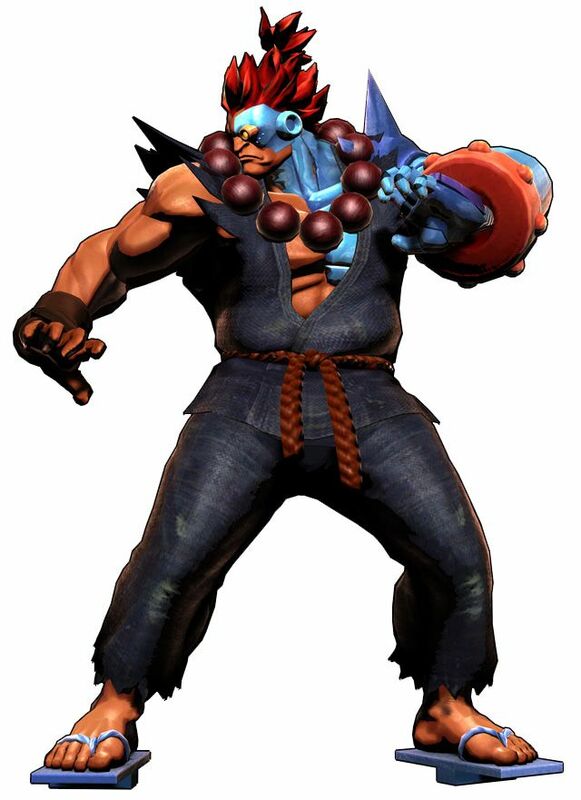 ,Cyber Akuma (known as Mech Gouki in Japan) is a powered-up and mechanically-enhanced version of Akuma engineered by Apocalypse. 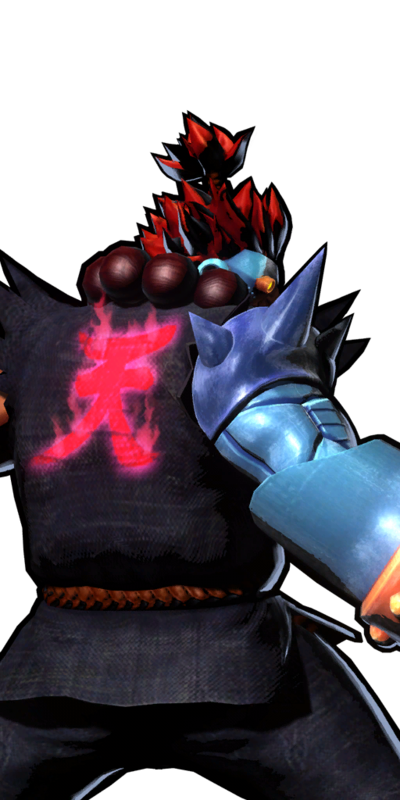 Cyber Akuma can perform most of Shin Akuma's moves and also has some attacks which involve launching his mechanical left arm. Also worth noting is that Cyber Akuma's mechanical left arm is very similar to the design of Zero Akuma's arms (a giant mech from Cyberbots, also based on Akuma). 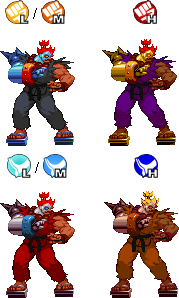 While "Cyber Akuma" may have seemed like a laughable and/or "lazy" design at first, I'd say this design actually aged rather well. 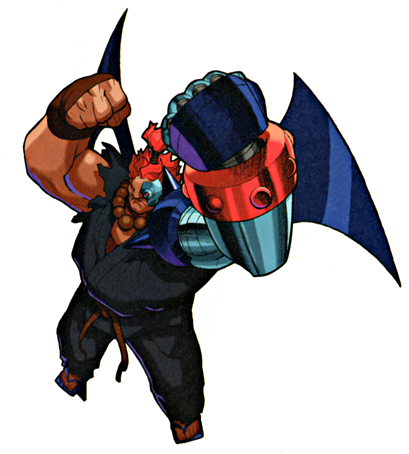 Cyber Akuma might've even have been a last-minute design by Capcom, a design they didn't put a whole lot of time into, but nonetheless, Cyber Akuma is a naturally badass design and has some pretty awesome moves too. Nearly 15 years after Cyber Akuma's debut, Capcom brought him back in spirit as an alternate costume for Akuma in Ultimate Marvel VS Capcom 3! Needless to say, he looks more badass than ever!